​​Your chance to see how the Business Kitchen helps you and your business while learning practical skills that you can use straight away to grow your business. Do you know who your customers are and where to find them? The better you understand your target customers the easier it is to find them and to market to them. You may have different customer segments for different products and service. Whether your customers are individuals or businesses this session we will give you techniques for understanding your customers better. Besides teaching specific skills we will use the techniques to work as a group - sharing experiences and ideas. You will go away with ideas you can apply to your business to make your marketing more effective. 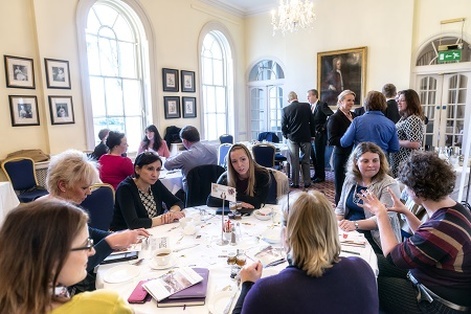 Award-winning Gloucestershire trainers, the Business Kitchen, run popular events and workshops to help you become more profitable and more successful. You’ll get a taste of what makes the Business Kitchen Gloucestershire’s best and most popular training company. Working as a group – sharing experiences and ideas – you’ll discover the skills that enable you to identify What Makes Your Business Special. You’ll go away with ideas you can apply IMMEDIATELY to your business to make your marketing more effective so you can attract more of the customers that make you money. Gill Smith & Nigel Knowlman from The Business Kitchen will be speaking and delivering this workshop. With collective experience of marketing, finance, strategy, sales and project management; no stone will be left un-turned during this session.